We have an amazing group of artists coming out to NYCC and we are honored to have them signing at our booth this year. Set your schedules to make sure you get a chance to meet your favorite artists and get a sketch or 2. 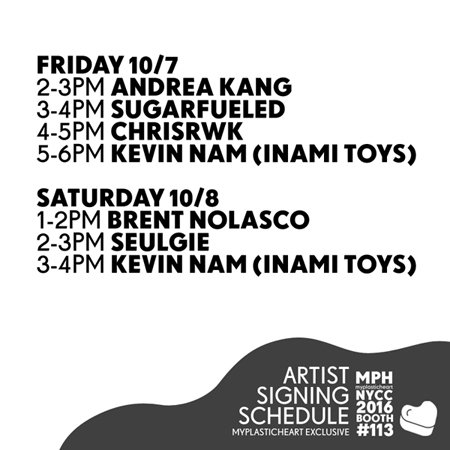 All signings will take place at the myplasticheart booth #113.